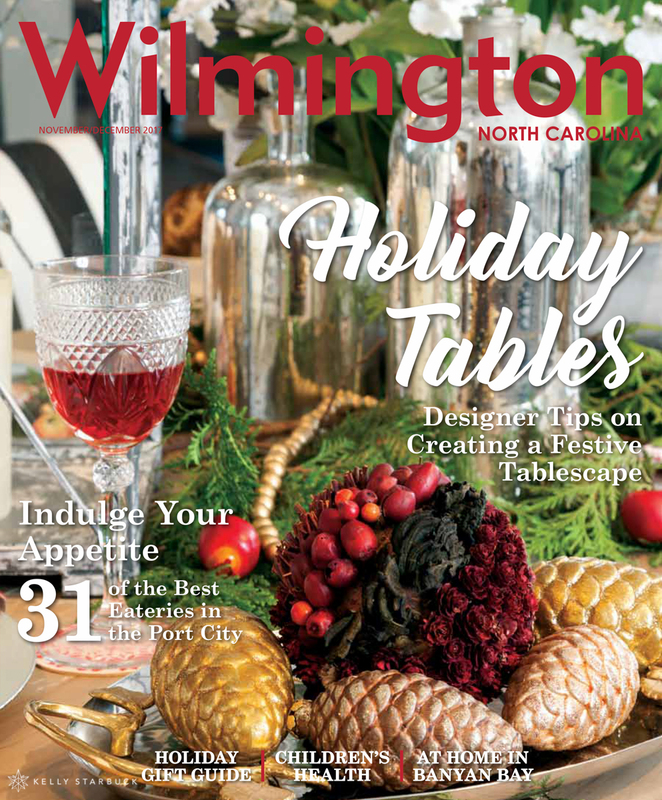 I am always excited to photograph this holiday decorating cover story for Wilmington Magazine. This was my third year shooting the assignment and I was looking forward to what the talented interior designers had prepared for their shoot. 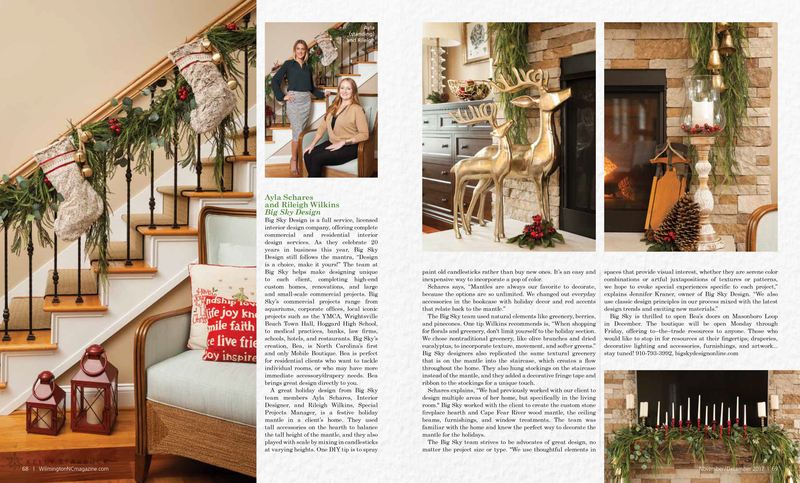 This year there was a holiday mantle and living room expertly decorated with greenery & gold by Big Sky Design. 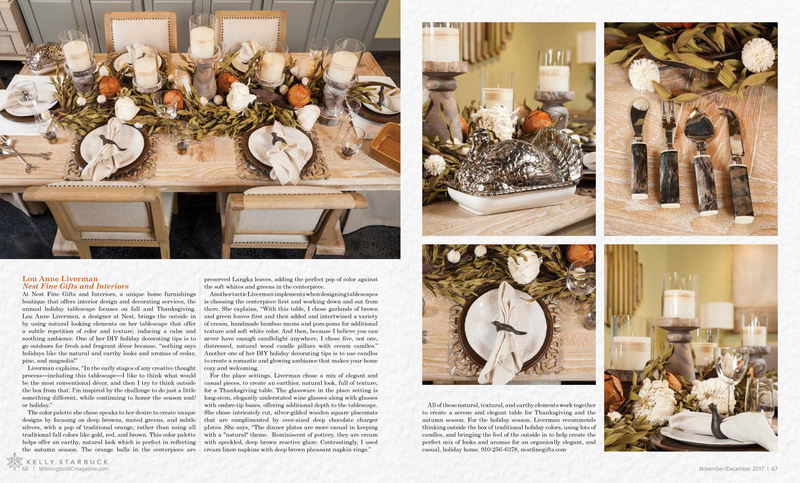 A festive Thanksgiving tablescape was designed by LouAnne Liverman of Nest Fine Gifts & Interiors and Debby Gomulka offered a French country Christmas tablescape. 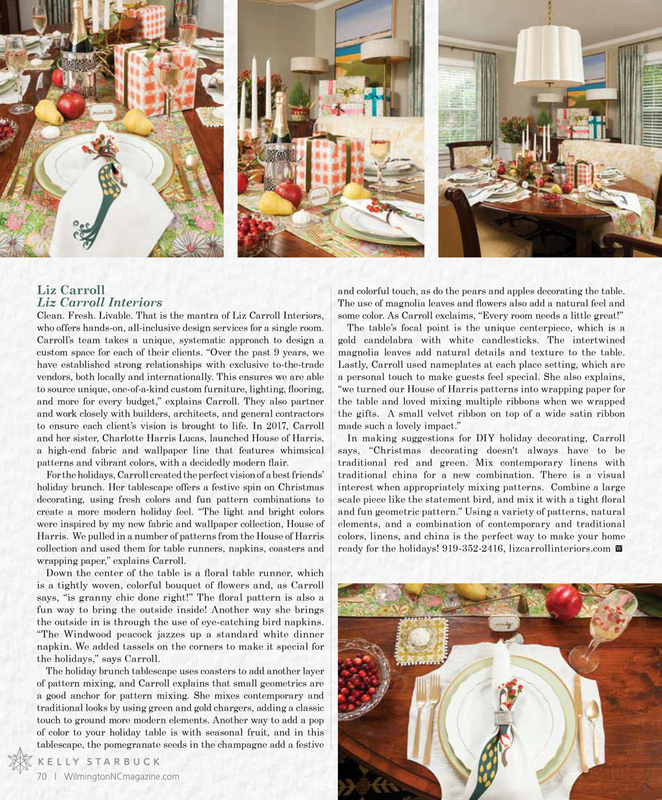 Lastly, an elegant holiday table set for dinner with custom designed napkins, runner and gift wrapped presents by multi-talented Liz Carroll Interiors. These shoots are so fun and I enjoy collaborating and styling with designers on the shots. 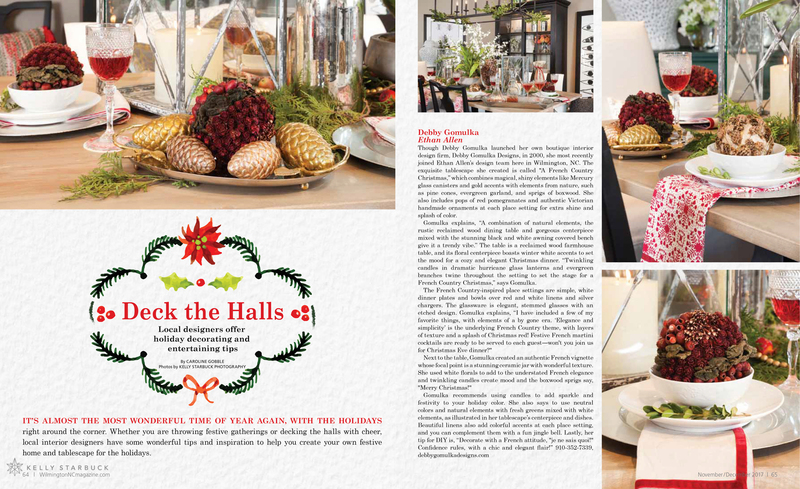 It definitely gets me in the holiday spirit early and I hope it does you too!